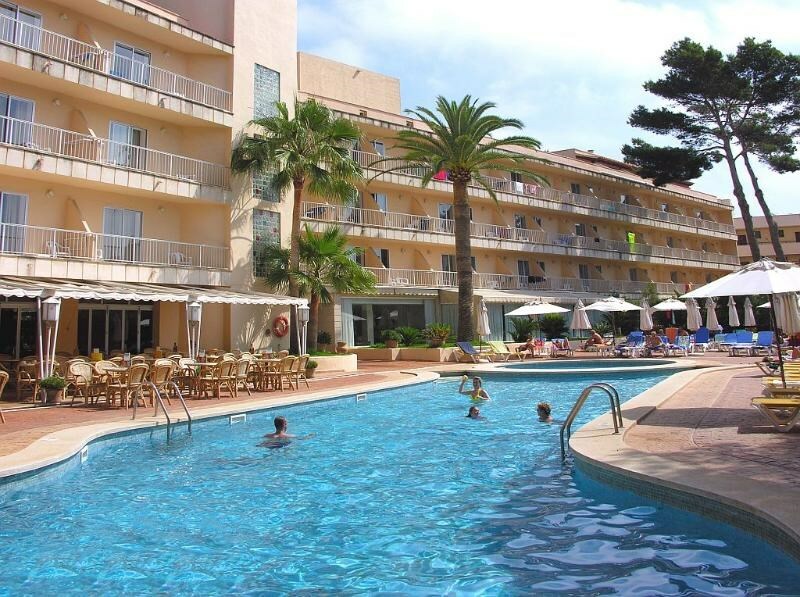 The Alondra Hotel is ideally placed just 100 metres from the Playa de Son Moll beach in the vibrant resort of Cala Ratjada. Rooms are decorated in contemporary style featuring all the comforts the modern day traveller has come to expect. All units open out to a balcony with pool or town views and have an en-suite bathroom with shower and bath. Additional amenities include a safe, telephone and TV with satellite channels to name a few and the multi-lingual staff are on hand around the clock to offer services such as currency exchange, laundry and luggage storage. They will also be happy to recommend on how to make the most of your time in the resort by recommending the best things to do and see.In addition to just being stone throw from the beach, the Alondra Hotel boasts an attractive outdoor swimming pool that is lined with loungers making it an ideal place to spend the day relaxing under the sun.